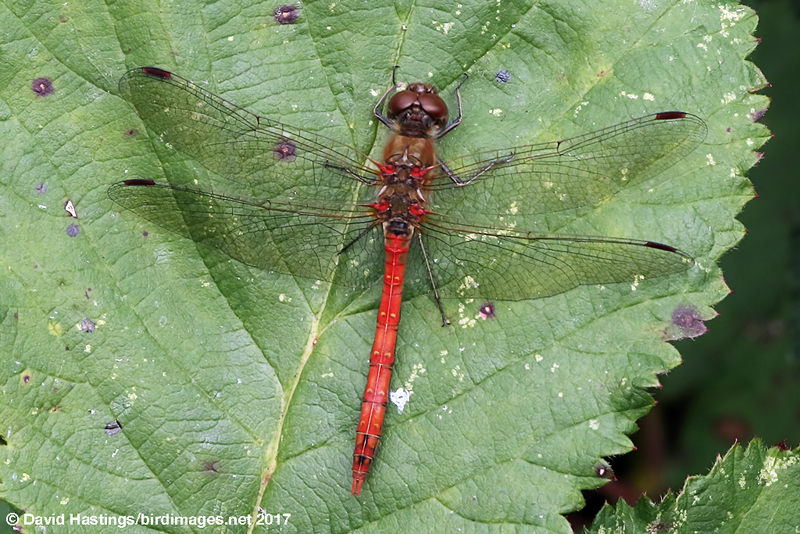 Common Darter (Sympetrum striolatum). Male. Taken at Faringdon, Oxon, on September 6th 2017. Approx 3.5x lifesize. Male. Taken at Faringdon, Oxon, on September 6th 2017. Common Darter (Sympetrum striolatum). Male side view. Taken at Farmoor, Oxon, on August 10th 2017. Approx 3.5x lifesize. Male side view. Taken at Farmoor, Oxon, on August 10th 2017. Common Darter (Sympetrum striolatum). Immature male. Taken at Sydlings Copse, Oxon, on July 25th 2011. Approx 3.5x lifesize. Immature male. Taken at Sydlings Copse, Oxon, on July 25th 2011. Common Darter (Sympetrum striolatum). Female. Taken at Cothill Fen, Oxon, on August 7th 2016 Approx 3.5x lifesize. Common Darter (Sympetrum striolatum). Old female. Taken at Otmoor, Oxon, on August 7th 2016. Approx 3.5x lifesize. Old female. Taken at Otmoor, Oxon, on August 7th 2016. Common Darter mating wheel (Sympetrum striolatum). Mating wheel. Taken at Otmoor, Oxon, on September 7th 2015. Approx 3.5x lifesize. Mating wheel. Taken at Otmoor, Oxon, on September 7th 2015. 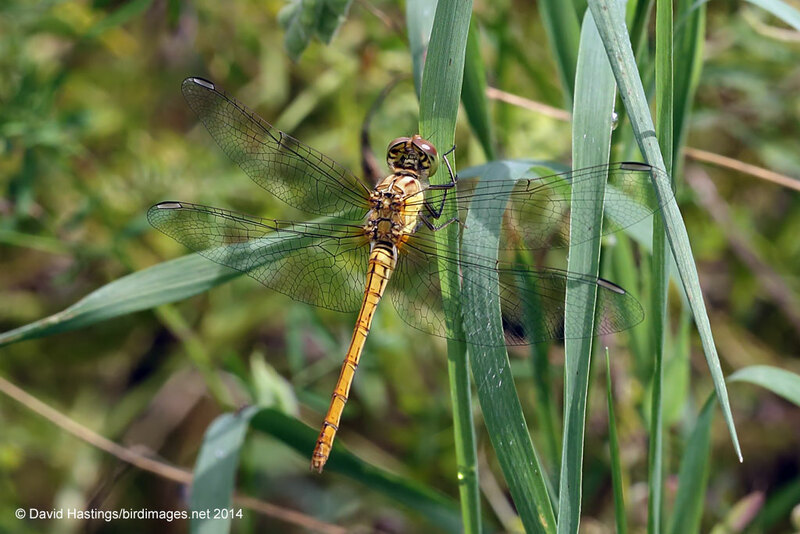 A summer and autumn species, this dragonfly is the most widespread species in Britain. The thorax in both sexes is brown above with poorly defined antehumeral stripes, and yellow panels on the sides. The eyes are brown above and yellow below. The legs are black with a diagnostic yellow stripe along their length. The males become a bright orange-red with maturity with small black spots on S8 and S9. Females have a pale, yellowish-brown abdomen, and often develop red markings along the segment boundaries and medial line as they age. There are two so-called "Atlantic Darters" which are sometimes treated as full species. Form nigrifemur is found in Macaronesia, and form nigrescens is found along the Atlantic coast of Ireland, Scotland and Norway. It is common and widespread throughout Britain and Ireland. It can be found in a wide range of habitats, but prefers warm, stagnant waters which are often shallow and bare. It will also tolerate brackish water. Eggs are usually laid in shallow water with the pair in tandem. The larvae live amongst mud and weed and emerge after a year. Emergence occurs over a prolonged period from June until October, and individuals can persist into December. Individuals bask on sheltered bare ground, allowing them to be active in cool autum conditions. They dart from perches to intercept intruders or catch prey, often returning to the same spot. Mating occurs at rest.